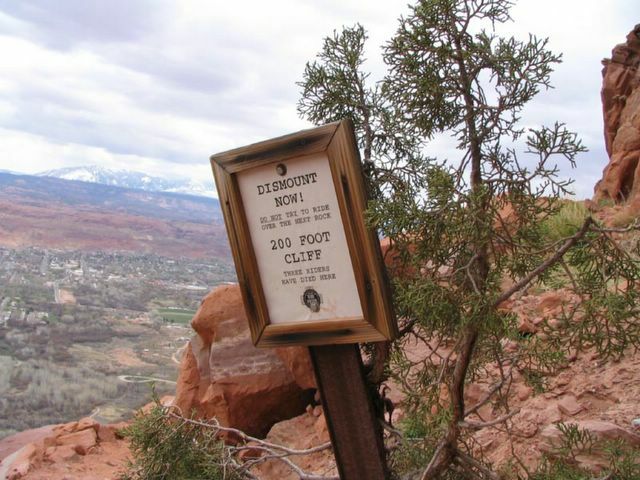 One of the draws of Moab mountain biking is the desert scenery. The portal trail certainly offers plenty, but my eyes were pretty much glued to the trail. The exposed sections of the trail aren't all that technical, when the trail drops off several hundred feet just to the side of the trail. I didn't need a sign to tell me to be careful. After the exposed section the trail turns into a technical descent that's really fun. Put this trail on your list of must rides.